Lippe was a parcel of territory that was located between the River Weser and the south-eastern section of the Teutobergerwald, the great German forest that had caused the Romans such a headache in AD 9. At that time, the Dulgubnii tribe occupied the Lippe lands, and were part of the Germanic force that destroyed three Roman legions in the forest. Lippe's capital was the town of Detmold, which was first mentioned in 783 as Theotmalli, while to its south Hesse was emerging. The first reference to the future town of Horn was made in 1031, Oerlinghausen was mentioned in 1036, and Lemgo in 1149. The House of Lippe resided along the river of the same name, originating in the person of Count Jobst Hermann of Lippe. He died around 1056, but his grandson (or great-grandson, born around 1090), Bernard, succeeded him. In 1123, he was granted a parcel of territory by Holy Roman Emperor Lothar II of Supplinburg and, as the new, and first, 'Lord of Lippe', Bernhard became Bernhard I. The town of Lippe (modern Lippstadt) is founded by Bernard II, either in 1168 or 1185. During his lifetime he also founds the city of Lemgo. Henry III, duke of Saxony, refuses to follow his cousin, Holy Roman Emperor Frederick Barbarossa, into war in Lombardy. In punishment for this the duchy of Saxony is reduced by the emperor. Westphalia is handed to the archbishop of Cologne, complete with most parts of Angria (the former Angrivarii tribal lands), while the duchies of Brunswick and Lüneburg remain under the control of the Welfs. Pomerania is taken by Barbarossa. The Saxon ducal title is handed over to the Ascanian dukes, but they have their base further east, in Lusatia and Thuringia, near the Elbe, resulting in the name of Saxony migrating eastwards. Son. Co-regent with his father during the latter's lifetime. Herman represents his brother, Otto II, bishop of Utrecht, as the administrator of Utrecht. He promotes the city and gains the post of vogt (reeve or advocate) of the monasteries of Clarholz and Herzebrock. His main opponent during this period is Engelbert II of Berg, archbishop of Cologne, a man who had earlier had Herman's support. Bernard fortifies Detmold with stone walls. As well as being Lippe's capital, the town is also an important crossroads on the trade route from Paderborn to Lemgo. Two years later the town gains the rights to stage a regular market which aids its economic development. Bernard takes part in the Battle of Zülpich alongside his uncle, Bishop Simon I of Paderborn. Their opponent, the duke of Jülich, captures Simon, and Bernard has to pay a large ransom to secure his release in 1269. The money is borrowed, saddling Lippe with a large financial burden. It is not entirely clear how the title progresses at this stage, with Bernard IV the elder brother, and lord of Lippe, while Herman III is lord of the city of Lippstadt. At various points, the two have been in dispute with one another after Herman had joined Lippstadt to the Rhenish League of Cities. And yet Simon succeeds his father in the year of Herman's death and not Bernard's. A dispute with Lippe's neighbours is triggered following raids against Osnabrück. They are alleged to originate from Enger Castle, which is owned by Simon of Lippe. Louis of Ravensberg, bishop of Osnabrück, forms an alliance with his brother, Count Otto III of Ravensberg, along with the bishops of Münster and Paderborn and the city of Herford. Their troops besiege Enger Castle, capturing both it and Simon, and imprisoning the latter for eighteen months in the Bucksturm tower in Osnabrück. He is released only when he agrees to raze Enger Castle to the ground. Lippe's territory reaches its largest extent when Simon acquires Varenholz Castle. Eldest son of Simon I. Prince-Bishop of Paderborn. The lordship of Lippe is divided upon the death of Simon I (and the short-lived and otherwise obscure appearance of Simon II). 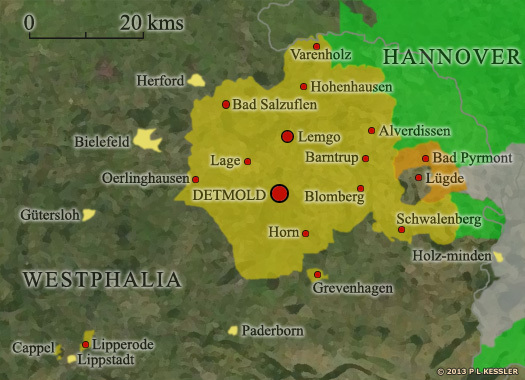 Otto becomes lord of the territory around Lemgo (which had been founded in 1200 by the lord of Lippe). His younger brother, Bernhard V, gains Rheda (a junior city that has sometimes been administered by the heir apparent as a means of training them for the lordship. Both this and Lemgo are now in the North Rhine-Westphalia state of modern Germany). Both rule their respective divisions of Lippe until their deaths. Brother, and a second Bernard V. Lord of Lippe-Rheda. When Otto dies, his son, Simon, inherits his title and lands as lord of Lippe-Lemgo. Following the death of his uncle just four years later, Simon apparently succeeds to become the single lord of Lippe, reuniting Lemgo and Rheda under one lord. However, the situation is complicated by nobles who declare in 1368 that future heirs to the lordship will only be recognised if the cities of Lippstadt and Lemgo, Lippe's two main cities, agree on the candidate. Son of Otto. Lord of Lippe-Lemgo until 1365. Upon the death of Bernard V, his widow, Richarda of the Marck, makes Otto VI of Tecklenburg the beneficiary of his estates (he is her eldest daughter's husband). She changes her mind in 1366 and selects her nephew, Simon III. Otto quite naturally objects and a feud is triggered which is eventually settled in Tecklenburg's favour. Otto VI of Tecklenburg takes Simon prisoner, only releasing him in 1374 after Simon pays a huge ransom. Two years later (in 1376), he also has to pledge half of Lippstadt to his mother's relatives, the House of the Marck. 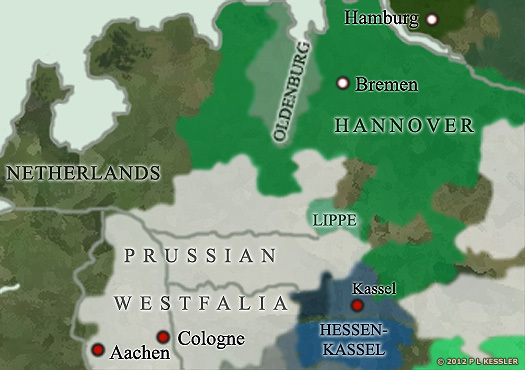 The bishoprics of Münster, Osnabrück, and Paderborn form a brief alliance with the cities of Münster and Osnabrück, together with Count Engelbert III of the Marck, in order to conquer Lippe and its city of Rheda. They hand their new possessions to Otto VI of Tecklenburg for the sum of 8,000 guilders. Count Adolph IX of Schauenburg attempts to reconquer the county of Sternberg, which Schauenburg had pledged to Lippe in 1400. This leads to a bitter feud, during which Extertal and the church and castle of Bösingfeld are destroyed. However, Simon takes the appropriate measures to ensure that he retains control of Sternberg. Great-uncle of Bernard VII. Archbishop of Cologne. Bernard VII concludes a treaty with Duke Adolph I of Cleves-Mark in which he cedes to Adolph a fifty per cent share of the city of Lippstadt, which is already mortgaged to Cleves. At the same time, he joins an alliance that makes him part of the 'Feud of Soest' against his own great-uncle, Archbishop Dietrich II of Cologne. In 1447, Dietrich calls in a Bohemian army that devastates the countryside in Lippe and levels the town of Blomberg. The Bohemians also besiege the cities of Lippstadt and Soest, but are unsuccessful in taking them. Detmold also suffers severe damage during the conflict and its defences are considerably strengthened after the event, which is finally settled in 1449. The capital is moved to Detmold, then the smallest city in Lippe with a population of just three hundred and fifty. 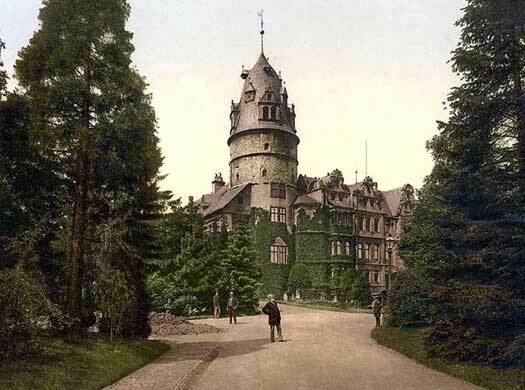 Detmold Castle is expanded to house the ruling family. Son. Became the first count of Lippe (1528). Simon V becomes the first imperial count of Lippe when the lordship is raised to a county at the command of Holy Roman Emperor Charles V. This is just one of about 140 imperial counties that are created at this time. The lordship was raised to a county in 1528, along with almost 140 other minor lordships and other German states, at the command of Holy Roman Emperor Charles V. As a result, Simon V was the first lord of Lippe to be able to style himself count. Detmold remained the county's capital, and Lippe remained a small Germanic state with little influence or impact. Former lord of Lippe. First count of Lippe. The Reformation had taken hold of the city of Lemgo as early as 1518, and this had quickly spread to Lippe's other cities even before the nobility could become properly involved, with most of the population becoming Lutherans, and Lutheran preaching taking place in many churches. But it is only in 1530 that the wave of Lutheran reform has a visible effect on Lippe. Protestant hymns are sung at a Catholic Easter Mass, and Count Simon is outraged. However, with his own liege lord, Philip I, duke of Hesse, already a Lutheran since 1524, his options are limited. In 1535, Simon and Duke John III of Cleves invade Lippstadt, which has turned Protestant. The city surrenders, but no further action is taken against it or any other of Lippe's cities. With the death of Simon V, his eldest son succeeds him as count of Lippe. Bernard's younger brother is Hermann Simon, who becomes count of Sternberg and marries Ursula of Pyrmont and Spiegelberg. This creates the subsidiary line of Sternberg and Pyrmont. Regent. Count of Hoya. Died. Lippe joins the Reformation under the direction of Philip I, duke of Hesse, Bernard's guardian and feudal lord. Bernard himself is already being brought up as a Protestant, in direct contrast to his father's staunch Catholic beliefs, and he tries to strengthen and support the Protestant faith in Lippe throughout his lifetime. Holy Roman Emperor Charles V sees the tide of conversions to Protestant rites as a move by the many princes and lords of the empire to gain more autonomy from imperial governance. Many of them, organised by Elector John Frederick I of Saxony and Duke Philip I of Hesse, had formed the Schmalkaldic League when meeting at the town of Schmalkalden in Thuringia in 1531. Now that Charles has returned from his war in Italy, the two sides concentrate their forces, with Charles intent on destroying the Protestant league. Elector John is distracted by his cousin, Duke Maurice of Saxe-Meissen, invading his lands in Ernestine Saxony, and ultimately the league is defeated. Lippe is occupied by imperial troops during the war and, following the implementation of the Augsburg Interim from 1548, the county becomes an imperial fief. Son. Succeeded aged 9. A true Renaissance man. Lippe becomes a Calvinist state, which leads to extensive disagreements with the Free Town of Lemgo (also a member of the Hanseatic League). Lemgo refuses to switch from Lutheranism to Calvinism. It takes until 1617 and the Peace of Röhrentrup to reach an agreement. With the death of Simon VI, Lippe is divided in four: Lippe-Detmold (held by the senior line of descent under Simon VII), Lippe-Brake (passed to the next oldest son, Otto), Lippe-Schwalenberg (held by the next in line, Hermann, who is included in the next section of this list), and Lippe-Alverdissen (held by the youngest, Philip I). Each division retains the status of a county. Count Simon VI had been a Renaissance count of Lippe, supporting and encouraging the sciences and creating the basis for the future Lippe State Library at Detmold. His death in 1613 saw the county divided between his four sons (the eldest, Bernard, predeceased his father in 1602). Simon VII gained the lion's share in Lippe-Detmold. 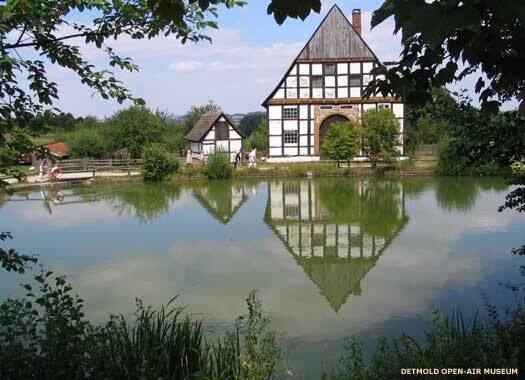 He moved the capital back from his father's residence at Brake Castle to Detmold as Brake itself had gone to his brother, Otto, as part of Lippe-Brake. The next division was Lippe-Schwalenberg, which was held by Hermann, and then Lippe-Alverdissen which went to the youngest son, Philip I. He married Landgravine Sophie of Hessen-Kassel, daughter of Maurice the Learned, in 1640, and went on to found Schaumberg-Lippe in 1640 with a capital at Bückeburg. Eldest son of Simon VI. First count of Lippe-Detmold. Brother. Count of Lippe-Schwalenberg-Sternberg. Died? The beginnings of the Thirty Years' War in central Europe sees a series of destructive conflicts take place. Originally this is as a result of the Reformation and its Papal response, the Counter Reformation, but later it also serves as a continuation of the Bourbon-Habsburg struggle for supremacy. Simon VIII does his best to keep Lippe neutral so that it might be spared as much as possible, but it suffers nevertheless when imperial troops are billeted within its borders. Lippe-Schwalenberg is reunited with Lippe-Detmold, presumably upon the untimely death of Simon's younger brother, Hermann. Four years later, in 1624, Simon VII passes a large dairy farm onto the bailiff of Schwalenberg (one that had been created out of several failing farms by Simon VI in the early years of the century). This is later sold to Simon's widow, Maria Magdalena, and her youngest son, Jobst Hermann, builds the manor of Biesterfeld there, creating the subsidiary line of Lippe-Sternberg-Schwalenberg. When Simon VII dies, his son, the youthful Simon Louis, succeeds him. As he is not yet of age, a regent is selected for him in the form of Count Christian of Waldeck, his step-grandfather. The most likely contender for the role is Otto of Lippe-Brake, but he cannot be selected due to the ongoing strained relationship between Detmold and Brake. Simon Louis' maternal uncle, John Louis of Nassau-Hadamar, is not asked as he is a Catholic. Son. Aged 17 at accession. Died of smallpox. Step-grandfather (and father-in-law in 1631). Count of Waldeck. Simon Louis has gradually been moving away from the neutral pose adopted by his father. After courting the powerful Swedes, he suffers from the presence of their troops in the region as part of the First Polish-Swedish War and their ongoing territorial conflicts with the Holy Roman empire in Pomerania. Schwalenberg Castle is attacked and looted in 1634, and Varenholz Castle suffers the same fate in 1636. Son. Aged 4 at accession. Died of smallpox. Step-great-grandfather and grandfather. Count of Waldeck. Brother-in-law of Catherine of Waldeck. Claimed the regency. Mother and regent of Simon Philip. Count Otto V of Holstein-Schaumburg dies without having produced an heir. The county of Schaumburg is now divided between Brunswick-Lüneburg, Hessen-Kassel, and Lippe, and Count Philip I of Lippe-Alverdissen is able to found the Schaumburg-Lippe line of the House of Lippe to incorporate the expanded territory that comes to him. The near-constant warfare and rapid change brought about by the Reformation and Counter Reformation is finally ended by the Peace of Westphalia. Uncle of Simon Philip and regency claimant in 1636. The Fourth Austro-Turkish War ends in the Battle of Saint Gotthard on 1 August 1664 in which the Ottomans are defeated by Austrian troops under Raimondo Montecuccoli (with a company of 140 men being led by Count Herman Adolph). The Ottomans are forced to agree to the Peace of Vasvár with Austria. When Count Philip I of Lippe-Alverdissen dies, his territory of Schaumberg-Lippe (the former, enhanced, Lippe-Alverdissen) is divided between his sons. Schaumberg-Lippe goes to Friedrich Christian, while the title of Lippe-Alverdissen is revived for the younger son, Philipp Ernst, who rebrands it Schaumburg-Lippe-Alverdissen. Upon the death of the childless Count Louis Ferdinand, the territory of Lippe-Brake is reunited with that of Lippe-Detmold under Count Frederick Adolphus. Holy Roman Emperor Charles VI offers to raise Simon Henry to the rank of imperial prince for the reasonable figure of 4,400 talers. Unfortunately, not only can Simon Henry not raise the money, his finances are so fragile that he is forced to sell off two lordships in the Netherlands in 1725, those of Amiede and Vianen, and pledge Sternberg Castle to Brunswick-Lüneburg in 1733. Opinion is divided on whether this financial trouble is due to alleged profligacy by the count or hardships inflicted by the Thirty Years' War that the count copes with admirably by raising money where and when he can. Son. Aged 7 at accession. Mother and regent. Died at Brake Castle in Lemgo. Sternberg-Schwalenberg is divided, with probably the majority of its territory going to form Lippe-Biesterfeld (which may already exist as it is sometimes applied to Jobst Herman of Sternberg-Schwalenberg). The remainder is used in 1762 to form Lippe-Weissenfeld. The descendants of Rudolf Ferdinand are known as the lords of Lippe-Biesterfeld. A cadet branch of the counts of Lippe-Biesterfeld becomes the first count of Lippe-Weissenfeld in the form of Ferdinand Johann Ludwig. At the same time, the lord of Lippe-Biesterfeld is raised to the rank of count. Son. Raised to the rank of prince of Lippe (1789). The counts of Lippe-Detmold are raised to the rank of 'Prince of the Empire', the title for the head of noble families rather than the offspring of monarchs. 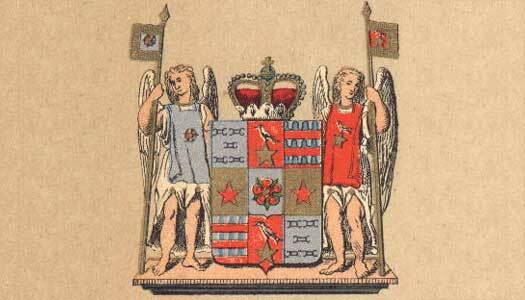 The county of Lippe-Detmold was raised to a principality in 1789. Despite already being the senior line of descent for the House of Lippe, it was clearly now superior to the other branches of the family, and so the designation of Detmold was dropped from the title. The town of Detmold itself remained the capital of the new principality. Former count of Lippe-Detmold. First prince of Lippe. The county of Schaumberg-Lippe is raised to a principality, while Lippe is part of the Confederation of the Rhine, dominated by Napoleon Bonaparte's French First Empire. Lippe sends a battalion of infantry and a battalion of landwehr (militia) along with three companies of the Detmold Landwehr and the Schaumburg-Lippe Battalion to join the allied forces that array themselves against France during the Hundred Days. The units are attached to the Anhalt-Thuringian Infantry Brigade, part of the Army of North Germany under the command of General Kleist von Nollendorf. As a result of the subsequent Congress of Vienna, Lippe becomes a member of the German Confederation. Son of Leopold II. Died childless. All of the main forms of worship in Lippe are granted equal status, including the main two forms of Protestantism, Lutherism and Calvinism, as well as the Catholic Church. This allows Catholics to have their own parishes for the first time since the Reformation. Prussia fights the Austro-Prussian War against Austria, essentially as a decider to see which of the two powers will be dominant in central Europe. Austria and its southern German allies are crushed in just seven weeks (giving the conflict its alternative title of the Seven Weeks' War), and Prussia is now unquestionably dominant. Bismark oversees the seizure of four of Austria's northern German allies, and the new, Prussian-dominated North German Confederation gains members in Lippe-Detmold and Schaumburg-Lippe Bückeburg, among many others. The exile of Queen Isabella of Spain to France starts a remarkable chain of events. Isabella's abdication on 25 June 1870 leads to the Franco-Prussian war when France refuses to accept the possibility of the Prussian Prince Leopold of Hohenzollern-Sigmaringen gaining the Spanish throne. French troops are humiliated by Prussia's ultra-modern army and the siege of Paris brings about the downfall of its empire. Following the victory, the Second Reich (Germanic empire) is declared by Prussia, which now displaces Austria as the main Germanic power, as well as being the dominant power throughout central and western Europe. Lippe is incorporated into the empire as a client state. Brother. Suffered from mental illness, so regency council ruled. With the accession of the incapacitated Alexander, the 'Lippe-Detmold Question' is first raised. Its significance lies not so much in the relatively obscure successional conflict that is triggered in Lippe but in the way it highlights certain weaknesses within the administrative structure of the German empire. Regent. Prince to-be of Schaumburg-Lippe. With Prince Alexander remaining childless, his eventual death as the senior member of the House of Lippe means that the Lippe-Detmold branch of the family will become extinct. The future Count Leopold of Lippe-Biesterfeld is due to succeed as prince and the head of the house, and is also in line to gain the first physical territory for his branch of the family, but the neighbouring principality of Schaumburg-Lippe disputes the assumed succession. As Schaumburg-Lippe is junior not only to the Lippe-Biesterfeld line, but also the Lippe-Weissenfeld line, a ruling goes in favour of Ernest of Lippe-Biesterfeld. Adolphus of Schaumburg-Lippe steps down as regent in favour of the victorious Ernest. Regent. Count of Lippe-Biesterfeld. Died. Regent. Count of Lippe-Biesterfeld. Succeeded as Leopold IV. The imperial court is forced to rule on the decision of 1897 that had upheld the claim by Ernest of Lippe-Biesterfeld to be the rightful successor to Alexander. As Alexander is the last of the Lippe-Detmold line, and the only other claimant, Count Adolphus of Schaumburg-Lippe, is a junior member of the Lippe princely house, Ernest's claim is upheld. Dispossessed of title in 1918. First Hereditary prince of Lippe. The German empire (which includes Lippe-Detmold, Lippe-Biesterfeld, Lippe-Weissenfeld, and Schaumburg-Lippe) moves swiftly to support its ally, Austria-Hungary, in a long-anticipated Great War (later more readily known as the First World War, or World War I). At the start it is successful against the Russian invasion of Prussia, routing their army at the Battle of Tannenberg, and in the west its armies reach the northern outskirts of Paris before they are stopped by the armies of Britain and France, together with the small Belgian army. Turkey joins the German cause on 31 October, but Afghanistan remains neutral, refusing to attempt an attack on British India. 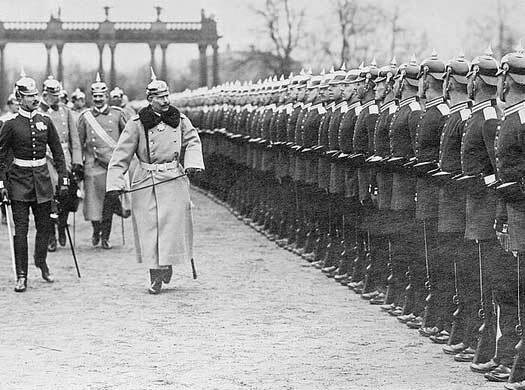 Emperor William II, at the Western Front with his troops from 29 October following riots in Berlin, is forced to abdicate on 9 November, signalling the end of the House of Hohenzollern in power. The next day he flees to neutral Holland, and the First World War officially ends on 11 November. The princes of Lippe and Schaumburg-Lippe are forced to abdicate as part of the creation of the Weimar Republic, ending seven hundred and ninety-five years of princely rule of Lippe. Lippe becomes a free state. Founded as the lordship of Lippe in 1123, the modern region of Ostwestfalen-Lippe (East Wesphalia-Lippe) contains the cities of Bielefeld, Detmold (the former capital), and Paderborn. The present Kreis Lippe within the Regierungsbezirk Detmold (administrative district) in Nordrhein-Westfalen (North Rhine-Westphalia) is almost identical to the territory of the principality of Lippe which preceded it. Following collapse at the end of the First World War, Germany became a republic with a new government, proclaimed on 9 November 1918, but without a president until 1919. All the princely states in Germany were abolished and, locally, Detmold served as the capital of the Free State of Lippe. This was an autonomous region which retained a level of independence in local affairs until January 1947, when the occupying forces of the British sector merged Lippe into the newly-formed state of North Rhine-Westphalia. The region paid host to a number of British military bases during the occupation period. After being forced to abdicate as prince of Lippe on 12 November 1018, Leopold retreated to the residential palace, the Residenzschloss Detmold, which remained in the possession of the prince and his family. The hereditary princes of Lippe still live there today as their primary residence. The title of count of Lippe-Biesterfeld was merged with the principality of Lippe in 1905, when Leopold succeeded the now extinct princely line. However, on 24 February 1916, Leopold upgraded various titles, with that of 'Count of Lippe-Biesterfeld' becoming 'His Serene Highness, Prince'. The same honour was bestowed on the same day upon the counts of Lippe-Weissenfeld, while other members of the family received upgraded titles on 9 November 1918. The princes of Schaumburg-Lippe also lost their powers but retained their title, and their line survives to the present day. Prince Leopold's three sons by his first wife sign up to the National Socialist German Workers' Party (NSDAP). The eldest, Prince Ernst, is reputedly the first German prince to do so. Prince of Lippe-Biesterfeld. m the Netherlands' Princess Juliana. Prince Bernhard of Lippe-Biesterfeld, son of Leopold's brother, Bernard, marries Princess Juliana of the Netherlands. Following the Nazi surrender, Germany is occupied by the forces of Soviet Russia, the United States, Britain, and France until 1949. The victorious Russians take East Prussia and annexe it directly to the state. The German population either flees or is expelled and is replaced by an imported Russian population. In 1947, Lippe is merged into the state of North Rhine-Westphalia by the regional British authorities. 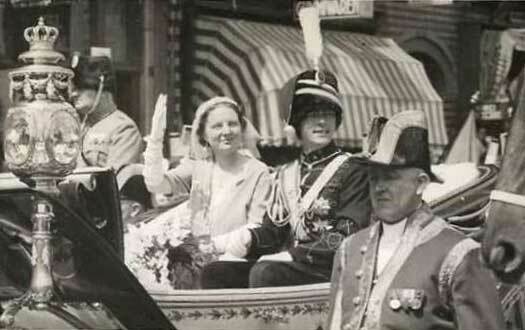 Queen Wilhelmina of the Netherlands abdicates to make way for her daughter, Juliana. With the latter having married Prince Bernhard of Lippe-Biesterfeld in 1937, their children are technically members of the House of Lippe, but officially they remain part of the House of Orange-Nassau. Both of Leopold's eldest two sons had contracted unequal marriages, so Leopold writes them out of his will, making his youngest son, Armin, by his second wife his heir. When Leopold dies on 30 December 1949, Armin becomes the head of the House of Lippe and possessor of Schloss Detmold. Prince of Lippe. Heir, but disinherited due to unequal marriage. Brother. Prince of Lippe. Disinherited. Armin renounces his position as head of the princely house in favour of his older half-brother Leopold (the only one of the three half-brothers not to have officially been dispossessed by his father - instead he had simply been passed over). This move is far from popular, and several other princes begin legal proceedings to prevent it. In the game of princely musical chairs, Leopold now steps down in favour of his elder brother, the disinherited Ernst. Later in the same year Ernst takes steps to end the confusion by convening a family council. It is decided that the eldest of all of Lippe's princes still alive in Germany will henceforth be head of the House of Lippe. The fifty-eight year-old Prince Simon Casimir therefore becomes the hereditary prince of Lippe. Prince of Lippe-Biesterfeld. Died 1980. Ernst comes to regret his decision of 1958, qualifying it by announcing that all princes of Lippe should be considered for the role of head of the house, and not just those living in Germany. At a point between 1958 and 1990 he re-assumes his former role as head of the house (possibly at the death of Simon Casimir in 1980), although this seems not to be with universal agreement. Many still apparently view Armin as the head of the house, and his son Stephan as his heir. Made a claim of restoration. Disputed head of the house. Son. Continued his father's claim as head of the House of Lippe. Son of Armin and heir. Born 1959. With the death of Ernst, his son, Friedrich Wilhelm continues his claim to be head of the House of Lippe, while the acknowledged head seems to be Armin, perhaps restored following the death of the elderly Prince Simon Casimir. However, Friedrich Wilhelm's offspring are all girls, so his claim is likely to end with him, leaving Armin and his heir, Stephan, as undisputed heads of the house.